1. Habit. 2. Upper subtidal (2 m deep) (Peter the Great Bay, Russia).. 29 Feb 2012. Eduard and Tamara Titlyanova (etitlyanov@mail.ru). © Eduard and Tamara Titlyanova (etitlyanov@mail.ru). Identified as Grateloupia doryphora; Northern California. 08 Mar 2011. Wendell Wood (ww@oregonwild.org). © Wendell Wood (ww@oregonwild.org). Grateloupia turuturu?, Cressy Beach, Tasmania, Australia. 03 Nov 2009. M.D. Guiry" . © Michael Guiry (mike.guiry@nuigalway.ie). Grateloupia turuturu?, Fortesque Bay, Tasmania. 03 Nov 2009. M.D. Guiry. © Michael Guiry (mike.guiry@nuigalway.ie). 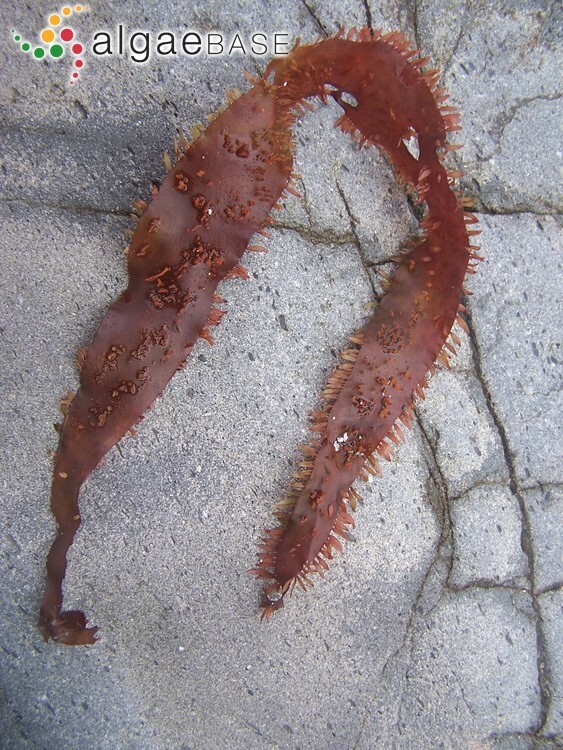 with Bifurcaria bifurcata, Finisterre, Galicia, Spain, 2008. Ignacio Bárbara. © Ignacio Bárbara (barbara@udc.es). Isla Redonda, A Coruña, Galicia, Spain, 2004. Ignacio Bárbara. © Ignacio Bárbara (barbara@udc.es). English: Devil's Tongue Weed (Bunker et al. 2010). Syntype localities: Muroran, Otaru and Hakodate, Hokkaido; Enoshima and Hayama, Sagami Prov. ; Amatura, Bosyu Prov., Japan (Yamada 1941: 205). Type: SAP 022063 (Yoshida 1998: 721). Notes: "Halymenia turuturu Okamura in herb." According to Verlaque et al. (2005: 487) the type locality is Muroran, Hokkaido, Pacific. Araújo de Azevedo, C.A., Cassano, V., Horta Júnior, P.A., Batista, M.B. & Cabral de Oliveira, M. (2015). Detecting the non-native Grateloupia turuturu (Halymeniales, Rhodophyta) in southern Brazil. Phycologia 54(5): 451-454. Bolton, J.J., De Clerck, O., Francis, C.M., Siyanga-Tembo, F. & Anderson, R.J. (2016). 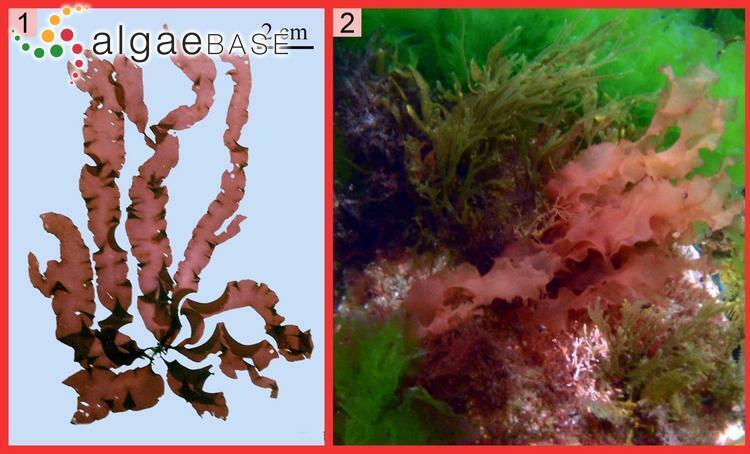 Two newly discovered Grateloupia (Halymeniaceae, Rhodophyta) species on aquaculture rafts on the west coast of South Africa, including the widely introduced Grateloupia turuturu. Phycologia 55(6): 659-664. Farnham, W.F. & Irvine, L.M. (1973). 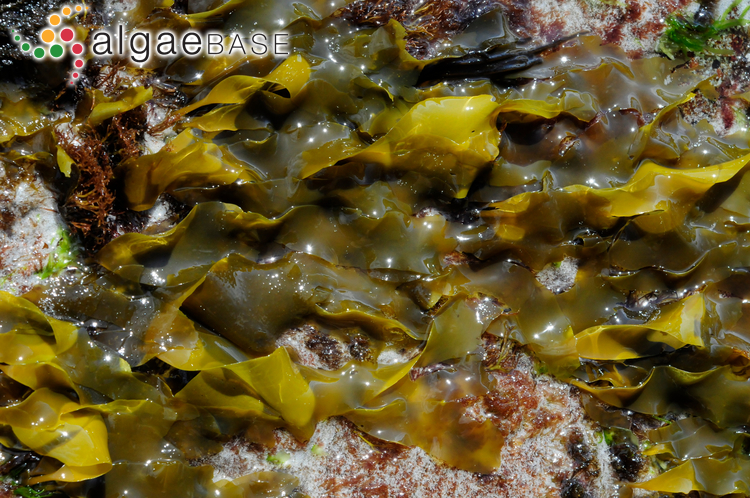 The addition of a foliose species of Grateloupia to the British marine flora. British Phycological Journal 8: 208-209. Accesses: This record has been accessed by users 13552 times since it was created. Araujo, R., Violante, J., Pereira, R., Abreu, H., Arenas, F. & Sousa-Pinto, I. (2011). 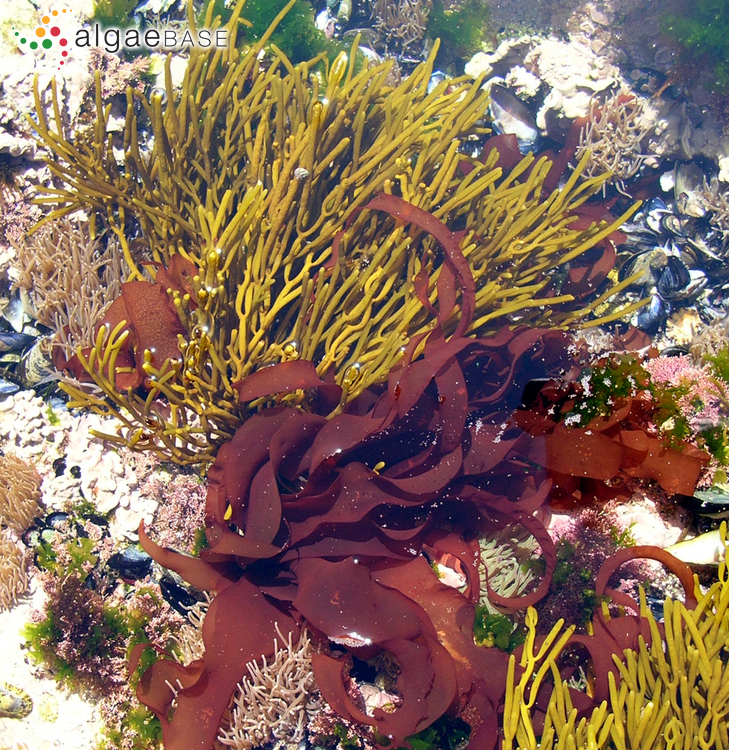 Distribution and population dynamics of the introduced seaweed Grateloupia turuturu (Halymeniaceae, Rhodophyta) along the Portuguese coast. Phycologia 50(4): 392-402. Cecere, E., Moro, I., Wolf, M.A., Petrocelli, A., Verlaque, M. & Sfriso, A. (2011). 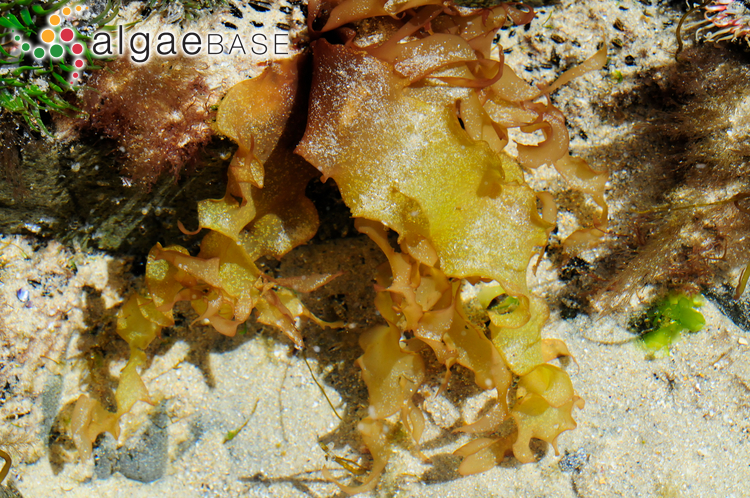 The introduced seaweed Grateloupia turuturu (Thodophyta, Halymeniales) in two Mediterranean transitional water systems. Botanica Marina 54(1): 23-33. D'Archino, R. Nelson, W. A. Zuccarello, G. C. (2007). 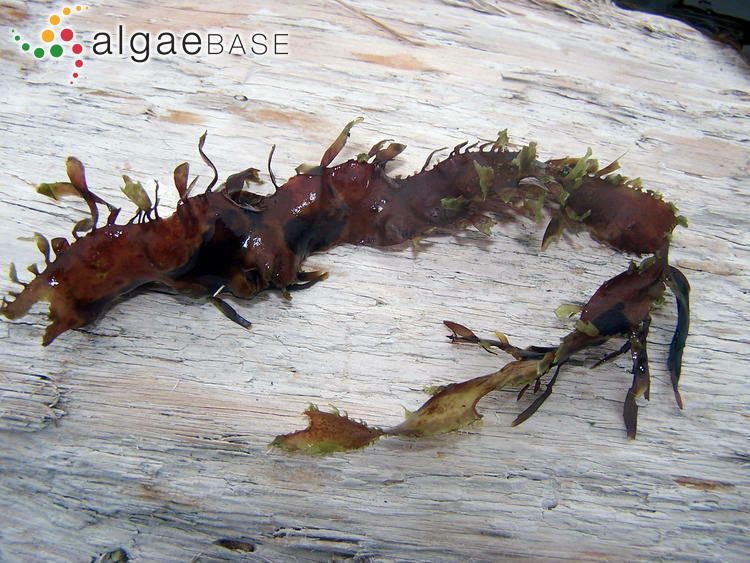 Invasive marine red alga introduced to New Zealand waters: first record of Grateloupia turuturu (Halymeniaceae, Rhodophyta). New Zealand Journal of Marine and Freshwater Research 41: 35-42. Denis, C., Ledorze, C., Jaouen, P. & Fleurence, J. (2009). 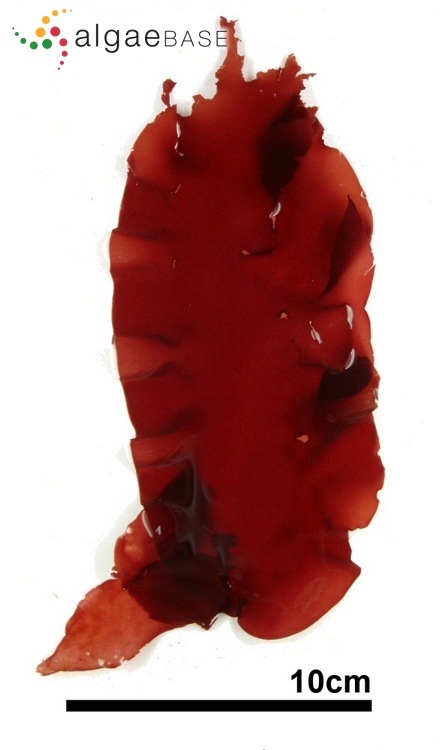 Comparison of different procedures for the extraction and partial purification of R-phycoerythrin from the red macroalga Grateloupia turuturu. Botanica Marina 52(3): 278-281, 2 figs, 2 tables. Denis, C., Morançais, M., Gaudin, P. & Fleurence, J. (2009). Effect of enzymatic digestion on thallus degradation and extraction of hydrosoluble compounds from Grateloupia turuturu. Botanica Marina 52(3): 262-267, 3 tables. García-Bueno, N., Turpin, V., Cognie, B., Dumay, J., Morançais, M., Amat, M., Pédron, J.M., Marín, A., Fleurence, J. & Decottignies, P (2016). 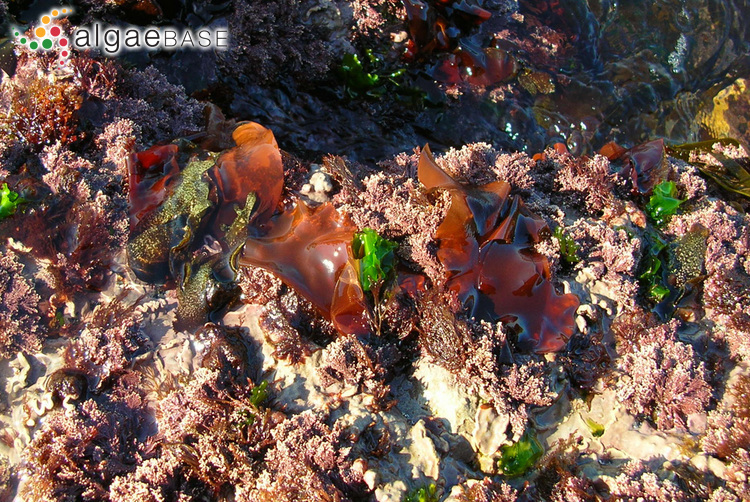 Can the European abalone Haliotis tuberculata survive on an invasive algae? A comparison of the nutritional value of the introduced Grateloupia turuturu and the native Palmaria palmata , for the comercial European abalone industry. Journal of Applied Phycology 28(4): 2427-2433. Goulard, F., Lüning, K. & Jacobsen, S. (2004). 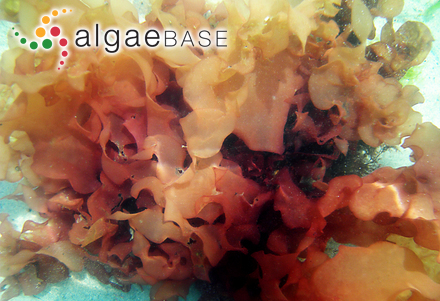 Circadian rhythm of photosynthesis and concurrent oscillations of transcript abundance of photosynthetic genes in the marine red alga Grateloupia turuturu. European Journal of Phycology 39: 431-437. Plouguerné, E., Hellio, C., Deslandes, E., Véron, B. & Stiger-Pouvreau, V. (2008). 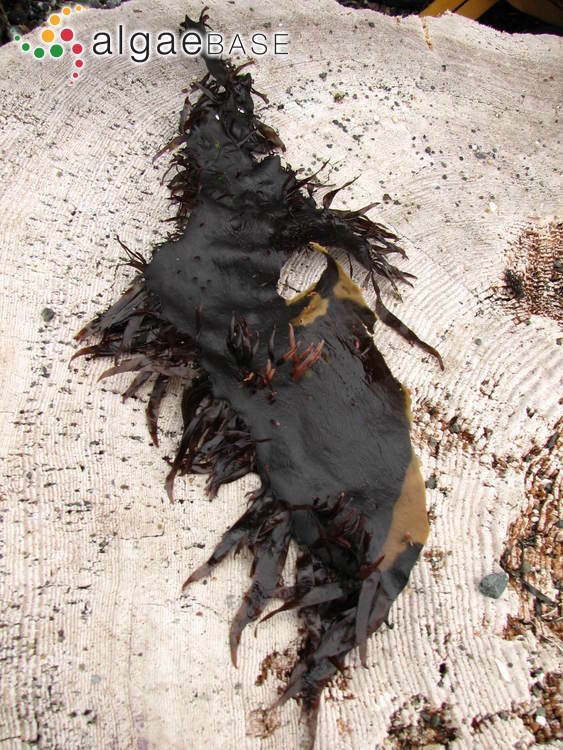 Anti-microfouling activities in extracts of two invasive algae: Grateloupia turuturu and Sargassum muticum. Botanica Marina 51: 202-208. Saunders, G.W. & Withall, R.D. (2006). 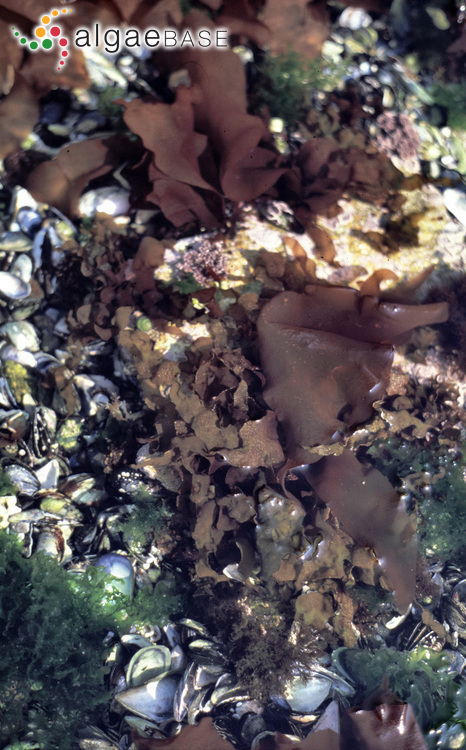 Collections of the invasive species Grateloupia turuturu (Halymeniales, Rhodophyta) from Tasmania, Australia. Phycologia 45: 711-714.